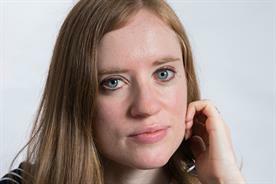 How can advertisers get past 'good cause' fatigue? Getty Images' chief marketing officer explains. "How do we get people to care about things they are tired of seeing?" was the question renowned photojournalist Lynsey Addario raised in her panel session with Getty Images at this year’s Cannes Lions festival. Her question is completely valid. The market at the moment is saturated with pictures showing crises and urgent global issues so it is very easy to see the challenge facing advertisers who want to stand out from the crowd and inspire action with cause marketing. Today’s consumers are more empowered than ever before through global connectedness, knowledge of world events and access to platforms where they can share these stories with other like-minded peers. As a result, greater responsibility has been put on brands to hold, and most importantly demonstrate, the same values as the consumers they want to engage. We have seen brands from L’Oreal through to Always create campaigns to do this by tacking important issues. But as many brands flock to take the "good cause" route, how can advertisers continue to create impact and inspire action through creative? One way is to drive empathy by adopting a different point of view. Capturing a story through someone else’s eyes offers an alternative perspective on an issue. Ariel’s "#ShareTheLoad" campaign from India is a great example of this in action. This ad is told from the perspective of a father, who dictates a letter he is writing to his career-driven daughter. In the letter he laments that he brought his daughter up in a world where she has to come home from work and clean up after her husband and look after the children. The father goes on to address his own behaviour that has contributed to the situation and vows to change the stereotype by "sharing the load". This unique and empathetic point of view helped the ad go viral online and its call to action has seen it shared globally across social media. The lesson this teaches is that marketers need to be authentic with their storytelling. A great creative idea needs to now be genuine and backed up by the brand. We are increasingly seeing businesses that are investing in the future, by actively addressing the issues that affect the here and now. One example of a socially conscious company is clothing brand Patagonia, which is fashionable, successful and sustainable. It demonstrates its authenticity beyond just the products it sells. To promote the launch of its food products, it commissioned a beautifully shot film called Unbroken Ground that explores the critical role food will play in solving the environmental crisis. By focusing the documentary on four groups of real people, the consumer is educated about the value of ethically sourced produce and the issues at play. The effort to create the documentary and commitment to real-life storytelling draws the viewer in and communicates the issues in a far more powerful way than many traditional ads. With people wanting to engage with businesses that "do good" and have a clear vision, it has never been more important for brands to be giving back to the world while turning a profit. This is why awards like D&AD Impact have an increasingly important role to play in rewarding brands that generate not just great commercial ideas but also great ideas that have a social purpose too. We are now seeing a huge increase in brands behaving like responsible citizens, but for this to have the impact they hope for, they must also apply their creativity in a way that reflects their ambition to change the word. Susan Smith Ellis is the chief marketing officer at Getty Images and a D&AD Impact awards judge.